Over Time Grind Official Blog and New site. Trusted and indexed in 96 countries around the world. Roxanne O'Brien of north Minneapolis testifies in opposition to a bill proposing the reopening of a private prison in Appleton, Minn. Behind her is Rep. Tim Miller, the author of the bill to reopen the prison. A debate over a bill that would direct the state to lease a private prison in Swift County quickly descended into chaos Tuesday morning, leading legislators to clear the room after protesters repeatedly interrupted the proceeding to voice opposition against the proposal. After the meeting reconvened and an hour of emotional testimony, the House Public Safety Committee voted 10-7 to advance the bill. It heads next to the Ways and Means Committee. The hearing signaled a contentious road ahead for the plan to reopen Prairie Correctional Facility in Appleton, Minn. Bill author Rep. Tim Miller, R-Prinsburg, said a lease would be an immediate solution to prison overcrowding, and a superior alternative to housing overflow inmates in county jails that lack proper mental health and other programming. He also said it would also help buoy the Western Minnesota's depressed economy. Critics quickly derailed any semblance of organized debate Tuesday morning, shouting over testimony to lambaste legislators for dealing with Corrections Corporation of America — the prison's controversial owner — and calling a plan to incarcerate more prisoners "a form of slavery." Legislators' attempts to quiet the crowd only fueled more outbursts, drawing applause and shouts of "Amen" and "Black Lives Matter" from other critics. When lawmakers couldn't get the crowd under control, they cleared the room. Before the hearing, a growing coalition of religious groups and other organizations — including the union that represents correctional workers in Minnesota — came out in strong opposition to the plan, in large part due to the prison's controversial owner, Corrections Corporation of America. These critics point to lawsuits across the state as pattern of bad practices, and say the state shouldn't be doing business with the company. "They have an absolutely abysmal record," said Joe Broge, a correctional officer at Stillwater prison who came to testify. "You don't want to allow them to get their foot in the door." 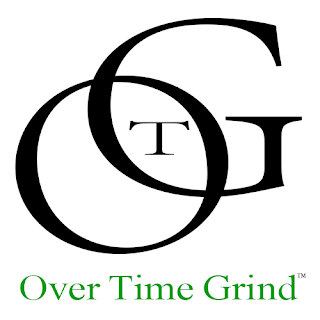 Over Time Grind Productions, LLC is based out of Philadelphia, Pennsylvania. Established in 2011 they have won Philly Hip Hop Award and worked with some of the largest talent coming out of Philadelphia. We have ran blogs and distributed information to millions around the world. Please visit OTGHelps.com to contact or email supplythework@gmail.com to be removed. 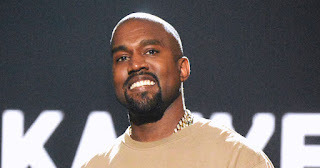 Is Kanye West Starting His Own Religion With The Sunday Services? OTG News © 2003-2018. All Rights Reserved.